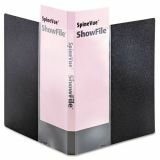 Cardinal SpineVue ShowFile Binders, Letter Size, 24 Sleeves, Black - ShowFile Display Book offers a simple, professional way to present and store important letter-size documents. 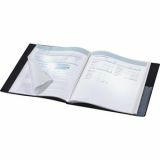 Clear, sheet protector-style pages bound into durable poly covers of this slim, trim book. 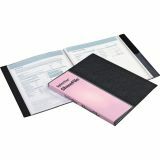 Nontransfer material will not lift ink from pages or damage photos. 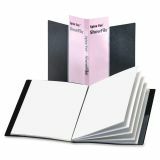 The 24 pockets hold 48 pages. 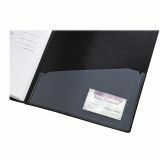 Clear pocket on cover wraps around the front, back and spine so you can insert one letter-size sheet to label all three sides. 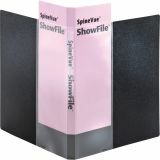 Create and insert custom title sheets into the clear overlays on cover and spine. Easy-to-use, free templates in your favorite software are available online.